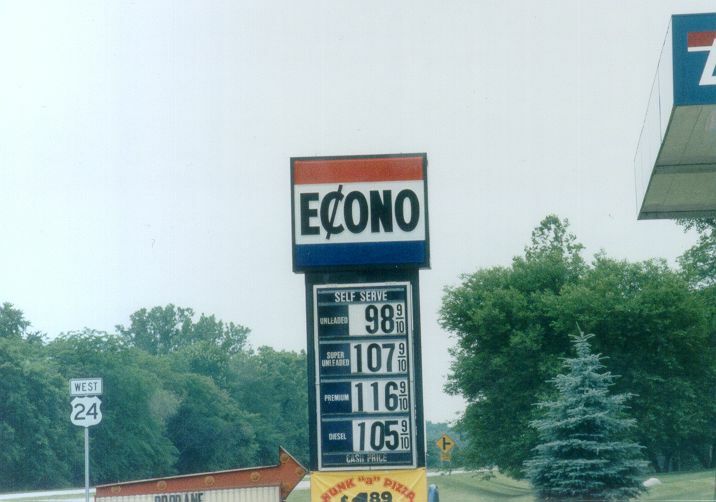 An Econo station near Roanoke, IN, on US 24 in 1998. 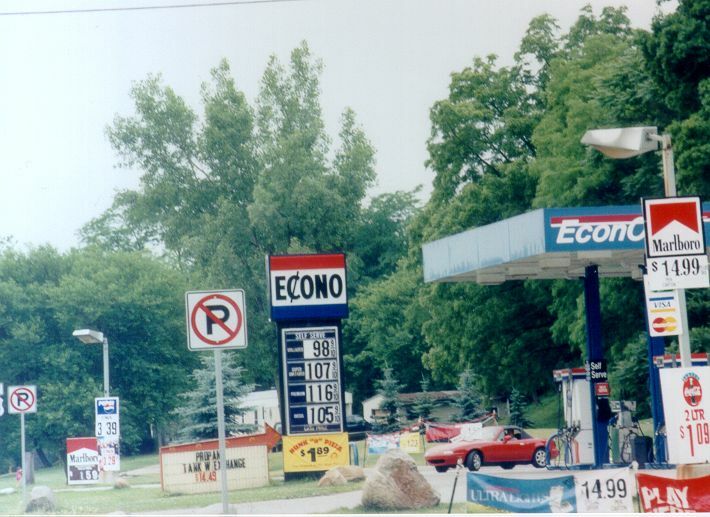 Station was re-branded Sunoco in 2000, but they kept the 'Econoasis' sign. 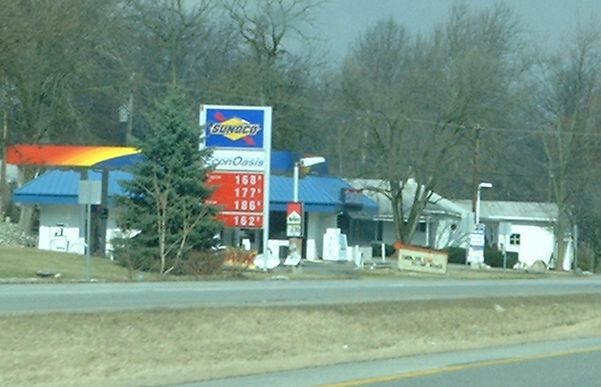 A photo of the station as of March 14, 2004. Photo by John Cirillo.